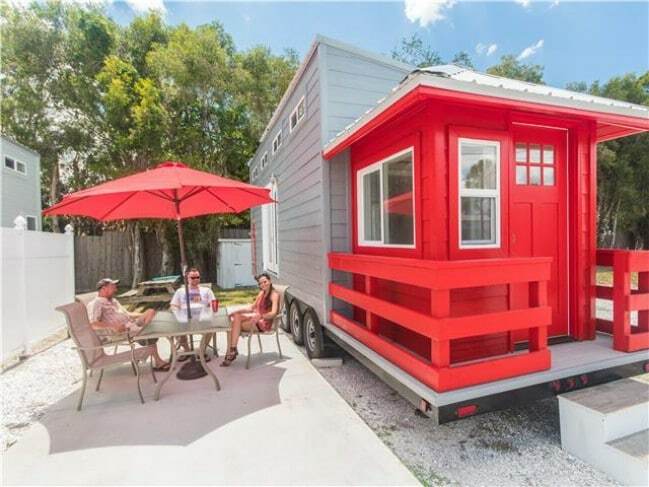 This house is of course named for its bright red entryway, which is in fact a full-sized Siesta Key lifeguard stand replica. This unusual element actually seems like a pretty natural design choice. 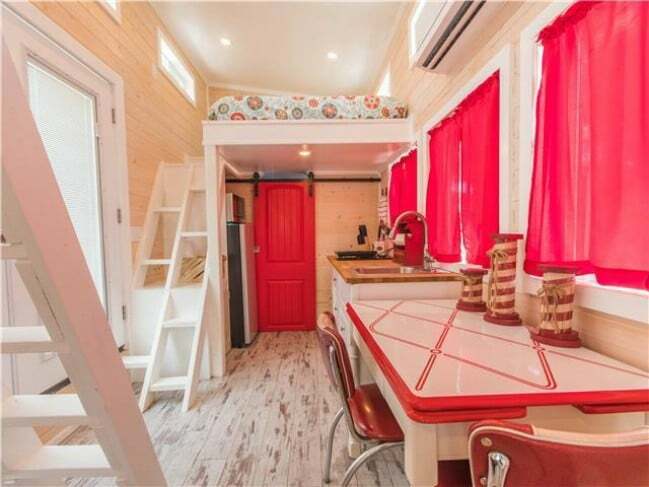 While its bright red color makes it stand out, in all other respects it seems to fit right in with the style of the rest of the house. 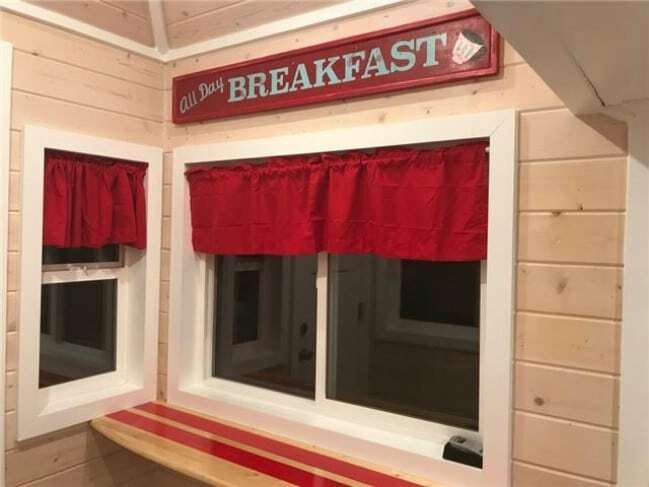 Light neutral colors are used through most of the interior, but the bright red color shows up again in the curtains, a barn door in the back of the home, and in some of the decor in the kitchen and loft. The effect is surprisingly harmonious. The vibrant red hue is truly a delight to the eye. 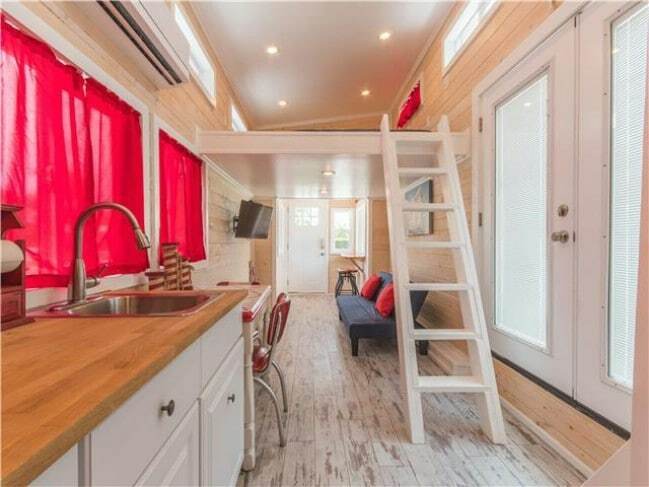 In the kitchen, you will find a refrigerator, microwave, coffee maker, toaster, and stove. 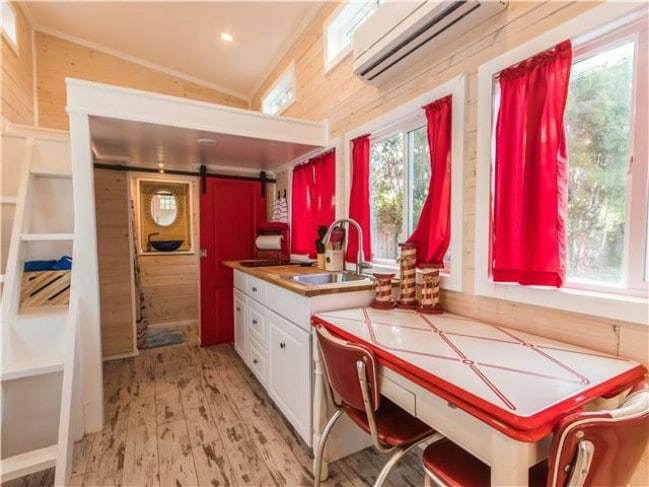 This not only lets you make your own food during your vacation, but also lets you learn what it is like to cook in a tiny kitchen. From this angle, you can really appreciate how large the main loft is in this house. The open design of the living space makes this possible without putting a low ceiling over the kitchen. Here you can see the unusual steps which lead up to the smaller of the two lofts. 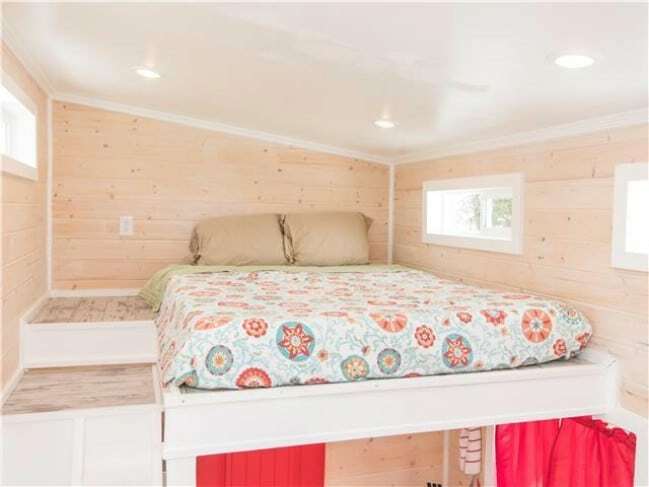 Here’s the bed in the larger loft. 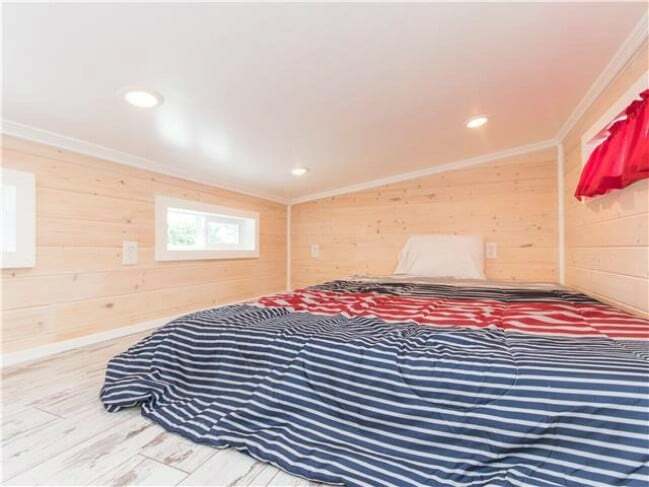 The floor around the bed has been left wide open for the convenience of guests. 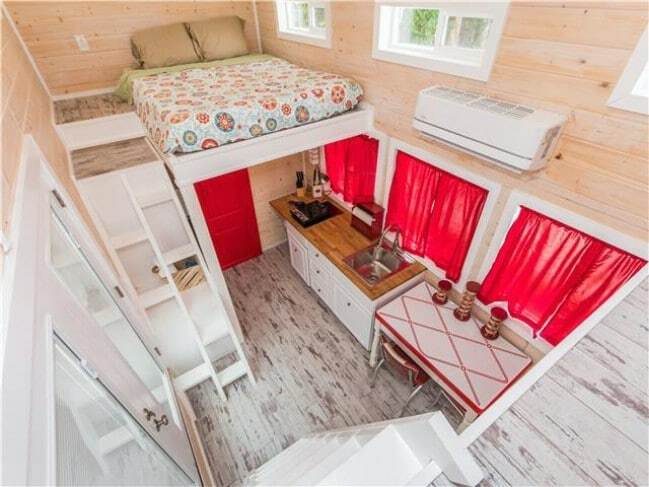 The smaller loft lacks the floor space, but more than make up for it in comfort. 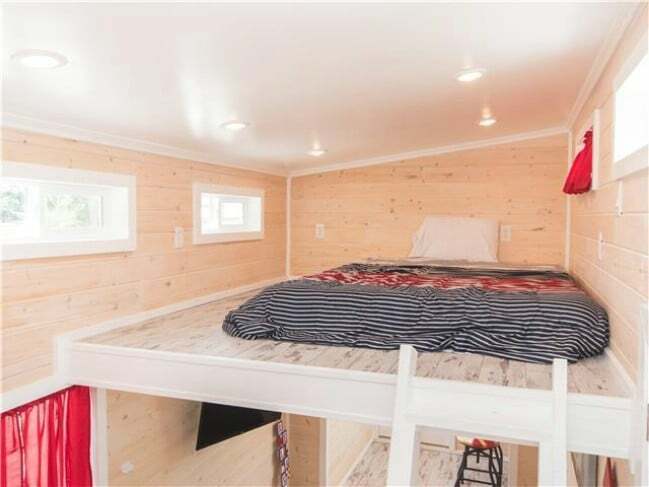 You can better grasp the dimensions of the larger loft in this photo. The living room is located under the larger of the two lofts. While the ceiling here is lower than it is in the kitchen, it is still at a comfortable height. 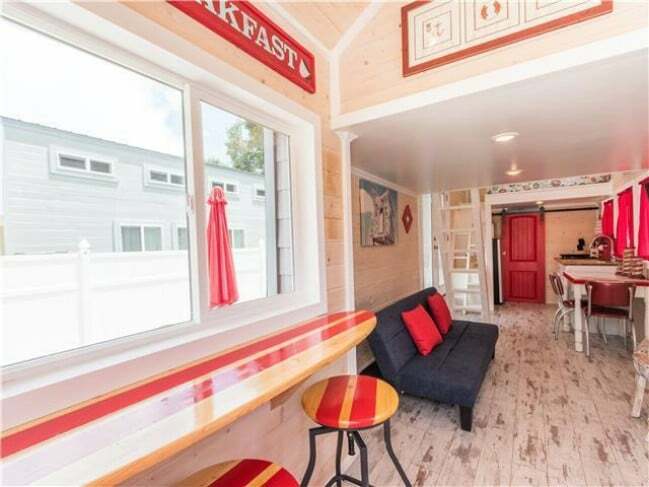 A repurposed surfboard under large window makes a beachy statement and offers a nice spot to relax and enjoy a meal or snack. 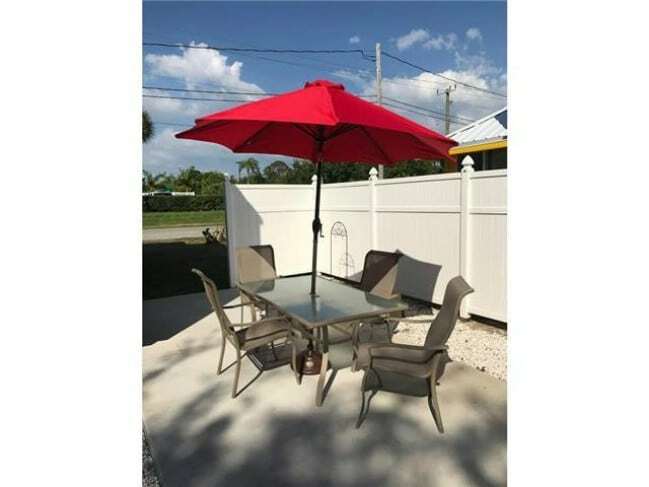 Of course, you will want to take advantage of the pleasant year-round weather in Sarasota and enjoy a few meals outside as well. 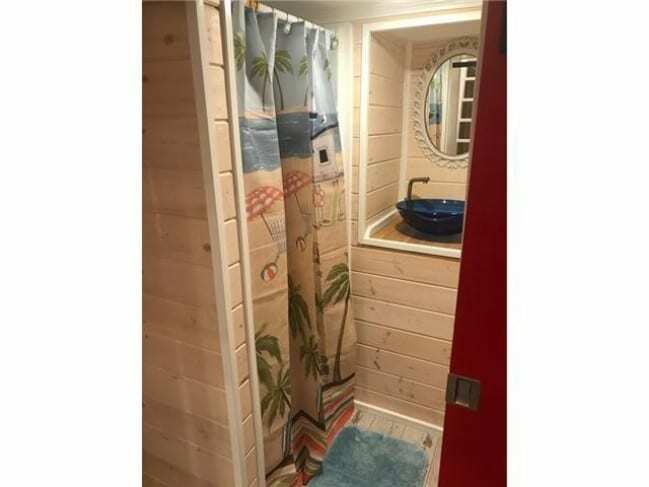 Even the bathroom has beachy vibes thanks to this fun shower curtain. 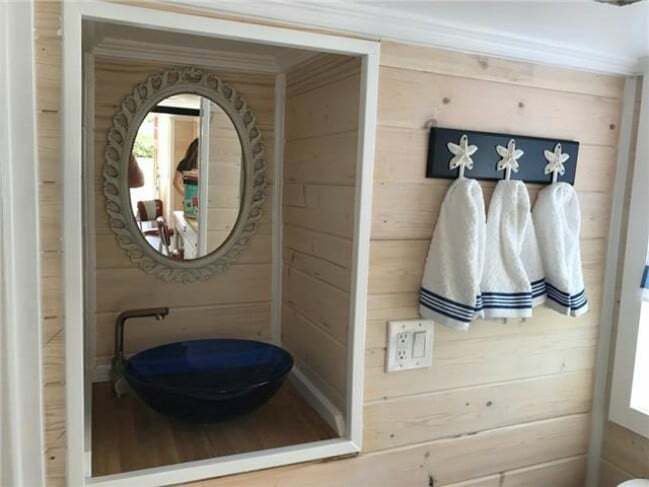 The placement of the bathroom sink in an alcove is unusual but appealing. It also helps to save space. 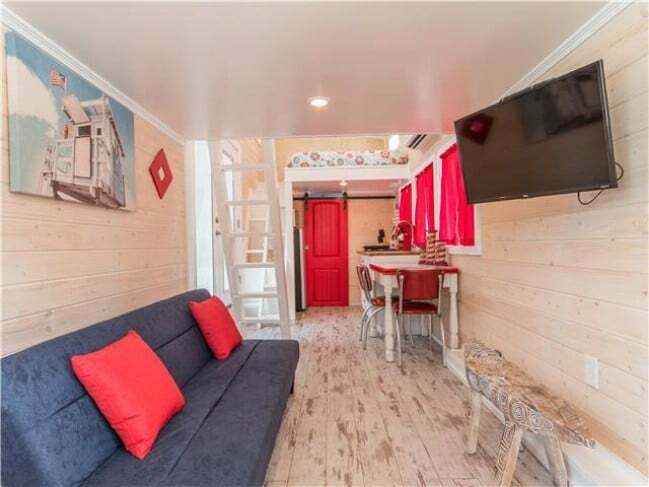 You might think that it would be expensive to spend the night in an eclectic little house like this, but you can stay for just $123. 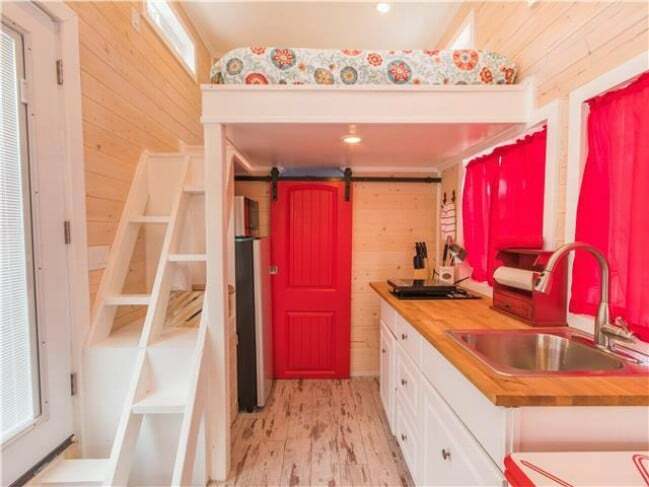 If you want to take advantage of that sweet deal and book a reservation, visit Tiny House Siesta.